Harman’s flagship store takes a storytelling approach to selling audio equipment. Differences in the pace of life have a marked effect on leisure settings up and down the East Coast. Service is changing to reflect the selfdirected preferences of younger, techsavvy consumers. Mixed-use, walkable destinations are proliferating as cities and suburbs seek to add density. Kathleen Jordan notes, “Larger stores are changing to attract a younger demographic.” The remodel of the Bal Harbour, Florida, Neiman Marcus replaced menswear on the first floor with its edgiest fashion. To get the men to go upstairs, it gave them a club floor with an updated café and fashion-forward ambience. The result? “Sales are up 30 percent,” she says. 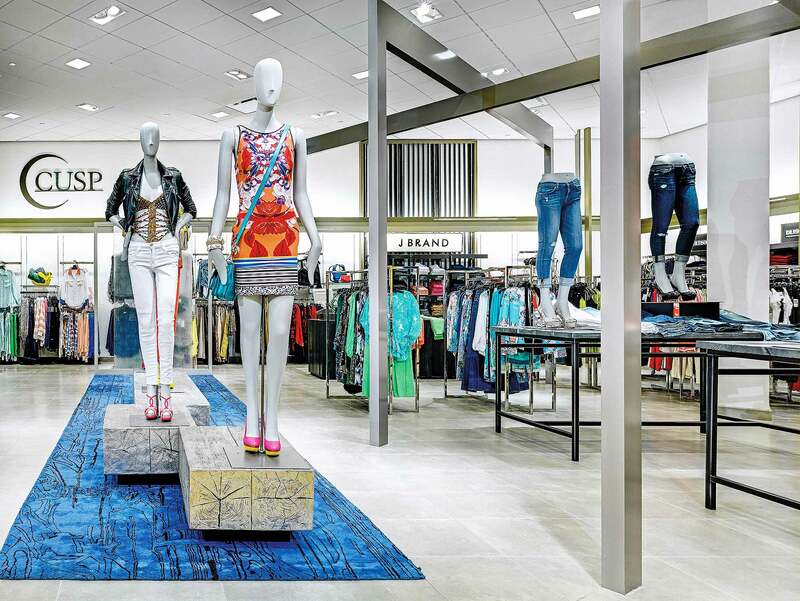 Neiman Marcus in Bal Harbour is designed to attract a younger crowd. The hunger for activity is fueling mixed-use redevelopment, Jordan Goldstein says. A prime example is Tysons Corner, an edge-city landmark in Northern Virginia has evolved from a regional shopping destination to a mixed-use urban center—served by five Metro stations and anchored by a Gensler-designed office tower. Taking Tysons from a suburban to an urban density, with transit access, “turns shopping inside out,” he says. “Stores can touch customers at multiple points, because they experience Tysons as a walkable setting.” Leaving the suburban paradigm behind is opening up the forms and formats stores can take. 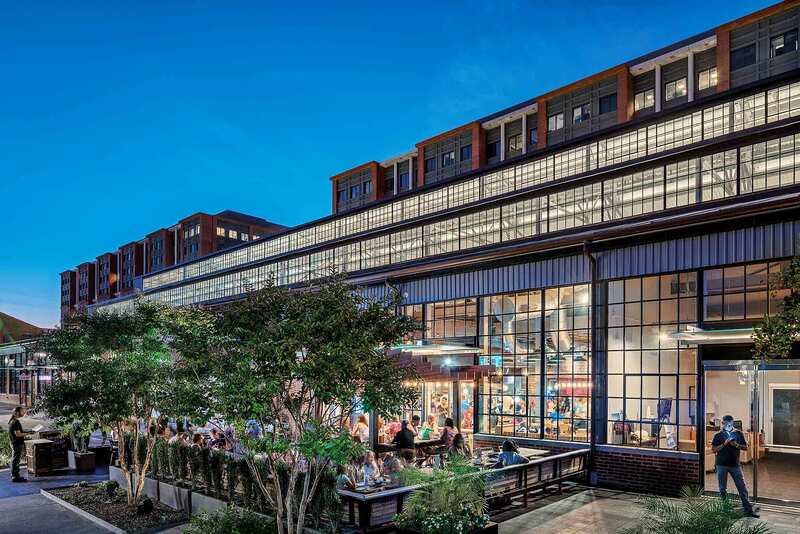 Boilermaker is part of Forest City’s mixed-use remake of the old Navy Yard in Washington, DC. So whether the pace is New York City fast or Atlanta slow, leisure is changing—and the cities and their suburbs are changing around it. Amanda Kolson Hurley writes for Architect and the Washington Post from Washington, DC.